A very relaxing weekend in Knysna, although the weather is not too great. Celebrated my 64th birthday today and caught up with news and emails. Skyped Amanda, who leaves for a week's business in Barcelona this afternoon. Jon is enjoying sand-surfing in Namibia. Today is the official deadline for abstracts for Comminution '10, so I have been busy acknowledging receipt of those received today. We will be putting the programme together in late December, so it is definitely not too late for abstract submissions. I see that Stephan Harrison has added an interesting comment to my post of November 23rd. I read with interest the obituary to Prof. Jan Leja on MEI Online. What an incredible life he had. Although I never met him personally I knew of his work, and used his book The Surface Chemistry of Flotation during my early years at Camborne School of Mines. We arrived in Knysna this afternoon, after an overnight stop at a very hot Swellendam. For the next two days we will be relaxing by the beautiful lagoon, and catching up with email. Good to see that abstracts are now flowing in for Comminution 10 and papers are arriving for the special Flotation '09 issue of Minerals Engineering. Interesting to see that the UK’s Daily Mail has devoted a whole page article on the UEA CRU email leaks (see my blog of 23rd November). It complains that the BBC etc are not giving any coverage to these leaks and questions why not. Very good question! I have felt for some time that the BBC’s science reporting is abysmal with unsubstantiated alarmist stories, often accompanied with vague statements such as “scientists say..”. Climate change is almost always preceded with ‘man made’ and often the reports begin with ‘scientists agree that…’. Sorry, no, they don’t!! If there is anyone from the BBC out there reading this, I would be really interested in your views, particularly on what I see is a bias towards anthropogenic glocal warming. 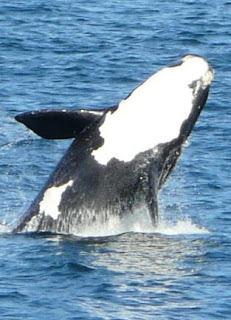 We left a cloudy Cape Town and then spent the afternoon watching whales in sunny Hermanus. 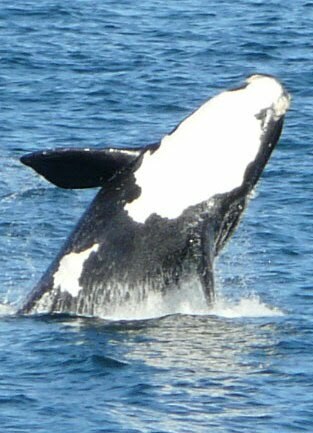 The ‘whale-capital’ of South Africa has a beautiful coastal path, and from there we spotted a number of southern-right whales and orcas. We have had many superb meals over the years in South Africa, but none finer than tonight’s at Hermanos. As close to perfection as you can get, and at a very reasonable price. The thriving Welsh company Maelgwyn Mineral Services has shown its continued support of MEI by coming on board as first corporate sponsors of Flotation '11, which will be held in Cape Town in November 2011. MMS are also sponsors of Precious Metals '10, which will be held in Falmouth in June. MMS sponsored and exhibited at this month's Flotation '09. Just had my last 'surf-walk' on Noordhoek Beach. Cool and cloudy today. We took the train from Fish Hoek to St. James, then walked to Kalk Bay, where we had lunch in the always excellent Harbour House. Tomorrow we leave for Hermanus, then on to Knysna. I will be blogging and checking email when and where I can find internet access. Just had a message from Amanda to inform me that photographs from Flotation '09 are now available for viewing and downloading from the conference website. The temperature today was 25C, a full 9C cooler than yesterday. We had lunch at the Black Marlin restaurant, just south of Simon's Town.This was once our favourite Cape Town restaurant, but after a few poor meals, we abandoned it several years ago. We gave it another chance today, which was a mistake. Wonderful setting but mediocre meal. 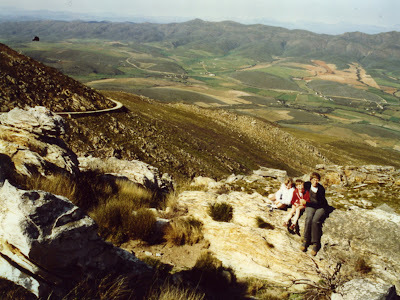 Then down to the Cape, where Mike, Barbara and I did our favourite short walk, 45 minutes from the Cape of Good Hope to Cape Point. Carbon capture and storage is one of the major themes of Climate Change and the Minerals Industry ’11, so it was interesting to read in today’s Cape Times that SASOL, who has always been a supporter of MEI Conferences, is to sign an expensive deal today to buy into the Norwegian government’s international BIGCCS carbon capture and research centre. The company will thereby be demonstrating a large commitment to CCS, even as the South African government expresses reluctance to pay for cutting carbon emissions to tackle climate change. Norway is already capturing and storing carbon dioxide in the seabed shelves from which it extracted oil and gas. Norway believes that with its oil-from-coal expertise, SASOL can make a valuable contribution to CCS research. At last week’s Flotation ’09 conference, there was much interest at the MEI booth in the forthcoming conference Climate Change and the Minerals Industry ’11. The need to reduce carbon emissions is forcing mines to reduce energy consumption, particularly in energy intensive processes such as comminution and flotation. This is to the good, but I still find that the majority of scientists that I speak to have varying degrees of scepticism to the concept of totally anthropogenic global warming. 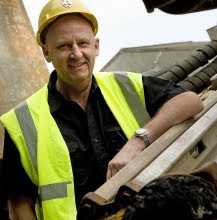 Today Tony Jackson, of Maiden Creek Consulting, USA, alerted me, via LinkedIn, to a blog posting in the UK Daily Telegraph which, if the content is proved to be true, could, as the title of the posting states, be the final nail in the coffin of 'Anthropogenic Global Warming'. I find the section on peer-reviewed journals most disturbing! I have had some problems logging on to this blog, but I did manage to cut and paste the content, and present it below in its entirety. I look forward to opinions on this. If you own any shares in alternative energy companies I should start dumping them NOW. The conspiracy behind the Anthropogenic Global Warming has been suddenly, brutally and quite deliciously exposed after a hacker broke into the computers at the University of East Anglia’s Climate Research Unit (aka Hadley CRU) and released 61 megabites of confidential files onto the internet. Attempts to disguise the inconvenient truth of the Medieval Warm Period (MWP): ……Phil and I have recently submitted a paper using about a dozen NH records that fit this category, and many of which are available nearly 2K back–I think that trying to adopt a timeframe of 2K, rather than the usual 1K, addresses a good earlier point that Peck made w/ regard to the memo, that it would be nice to try to “contain” the putative “MWP”, even if we don’t yet have a hemispheric mean reconstruction available that far back…. I asked in my title whether this will be the final nail in the coffin of Anthropenic Global Warming. This was wishful thinking, of course. In the run up to Copenhagen, we will see more and more hysterical (and grotesquely exaggerated) stories in the Mainstream Media. And we will see ever-more-virulent campaigns conducted by eco-fascist activists, such as this risible new advertising campaign by Plane Stupid showing CGI polar bears falling from the sky and exploding because kind of, like, man, that’s sort of what happens whenever you take another trip on an aeroplane. But if the Hadley CRU scandal is true, it’s a blow to the AGW lobby’s credibility which is never likely to recover. An email in this morning from MEI’s good friend, and consultant to Nickel Processing ’10, Dr. Norman Lotter, who is safely home in Sudbury after an uneventful but tiring return trip from South Africa. He is pleased that he and his co-author, Prof. Dee Bradshaw, received very favourable comments and compliments about their paper on mixed collectors, the response exceeding their expectations. Norm, we really do appreciate your comments which make worthwhile all our efforts to produce high quality events. There was a definite spirit of optimism at the conference regarding the economic recovery. Looking at the commodity prices adds weight to this optimism. Base metal prices have increased steadily over the past 12 months, copper from just under $4000/t to $6700/t, lead from 900 to 2400 $/t, zinc from 1200 to 2200 $/t and nickel from 9000 to 16,500 $/t. Precious metal prices have also gained steadily. So I think we should look forward to 2010 with cautious optimism. It's hard to believe that it is 3 years since the last MEI Conference (Reagents '06) at the Mount Nelson Hotel, before we discovered the beautiful Vineyard Hotel at Claremont. Today we called in at the 'Nellie' for coffee, before walking through the City Bowl,via the Bo-Kaap, the colourful Muslim district and Cape Town's oldest residential area. At the vibrant Waterfront we had a very average lunch at the once excellent 221 Restaurant. Then back for an exhilarating walk through the surf on Noordhoek Beach. I have been walking on this beach every year for the past 10 years and this is the first year that venturing into the water has not been an ordeal. Previously the Atlantic water has been unbearably icy but this year it is almost tepid and there are surfers out there with no wet-suits. I can only assume that the cold Benguela current from the Antarctic has shifted a few degrees west. Can anyone enlighten me on this? Stephan, if you are reading this, can you provide an explanation? Anything to do with climate change? Tomorrow I plan to catch up with the world of minerals engineering, while Barbara and our friends lunch at the Winchester Mansions Hotel at Sea Point. A very hot day today, so did very little apart from the afternoon beach walk. In the early evening, we had a braai (BBQ) with neighbours. One of the primary aims of MEI Conferences is to produce state-of-the-art special issues of the peer-reviewed journal Minerals Engineering. The initial peer-review of a paper takes place at the conference during its presentation and discussion, so I am hoping that authors from last week’s Flotation ’09 are now hard at work preparing their final papers for submission to the Elsevier site. Profs. Dee Bradshaw and J-P Franzidis will be advising me on appropriate referees to supplement the 140 reviewers held in my journal database. Already I have had delegates from the conference kindly offering their services to review specific papers. I must remind all authors that good conference papers are not necessarily good journal papers and before submission they must ask whether the paper is innovative and of generic interest i.e. it must provide information that is of use to workers outside the particular mine, ore-body or other operation described. When the papers are submitted, they are initially scrutinised by Elsevier to check formatting, standard of English etc. It is essential that papers are written according to the guidelines laid out in the Guide for Authors. If satisfactory, the papers are passed on to me and I assign suitable referees, specialists in the subject matter, to review the papers. The process of reviewing, revision, further refereeing etc can be lengthy, but this is the basis of science publication and, although not infallible, ensures that standards are maintained at a high level. We are hoping that the special Flotation issue of Minerals Engineering will be published in mid-2010. Very hot today so Barbara and I had a restful day, while our friends visited Stellenbosch. We had morning coffee in Simon’s Town, and then spent the rest of the day at Monkey Valley. I went for my usual, today uneventful, walk on the beach. Jon emailed from Botswana. He had just left Zambia and was disappointed that there was virtually no water to be seen flowing over the Victoria Falls. Also heard from Amanda from a very cold and wet Cornwall. We have always felt that Cape Town has some of the world’s finest restaurants, but tonight we has an outstanding meal at the local ‘The Foodbarn’ Restaurant in Noordhoek. Groot Constantia and an attempted mugging! An excellent lunch today at Groot Constantia, South Africa’s oldest wine farm. In the afternoon I went on my usual Noordhoek Beach walk but due to the very strong wind I was alone on the long beach. At least I thought I was, until confronted by a young guy demanding money. When I refused he attacked me, and I managed to hit him fairly hard on the head, after which he made off. In thirteen consecutive years visiting Cape Town, that was the first violent incident that I have encountered but a lesson on not to walk alone on deserted beaches! A hot day today in the Cape. Late afternoon I went for a 6 mile walk-jog through the surf on Noordhoek Beach, and it was stunning. Earlier our friends Judy and Mike Ward, from Falmouth, and Judy’s sister, Jane, from London, arrived from UK to join us for 10 days at Monkey Valley. Just as summer finally arrives in Cape Town, we had to say farewell to Jon and Amanda today. I drove Jon to the airport this morning, through Cape Town’s appalling early morning traffic. He is on his way to Zambia, from where he begins an overland trip through Botswana and Namibia, arriving back in Cape Town in 3 weeks’ time. We had an excellent lunch with Amanda at Blues Restaurant in Camps Bay before dropping her off at the airport for her Emirates flight back to the UK. The 582m Chapman’s Peak overlooks Noordhoek Beach (see yesterday's beach photo), and Chapman’s Peak drive is one of the most famous scenic drives in the world. Amanda, Jon, Dean Eastbury and I made the fairly strenuous hike to the summit today. The views of Hout Bay were spectacular as was the view from the very cold summit, where we were buffeted by gale force winds. On our return, a well earned beer was followed by an, unfortunately, very mediocre meal at the local Red Herring Restaurant. They call it the Cape of Storms and the weather during the past week has been the worst that we can remember. Even now, although the weather has improved, it has been totally unpredictable today. This morning we relaxed in our cottage at Noordhoek, and caught up on emails and phone calls, then in the afternoon Jon, Amanda and I walked 6 miles on Noordhoek Beach, initially in glorious sunshine, then an hour later in a torrential downpour. Dean Eastbury of Elsevier joined us this evening for drinks and dinner at Monkey Valley’s Thorfynn’s Restaurant. The sun finally shone on the Vineyard this morning, as most of the delegates made their way home! Amanda surfaced very late for breakfast, looking extremely fragile after ‘networking’ until 3 in the morning! We will be back in 5 months' time for Comminution '10. Amanda and Jon enjoying a final Vineyard dinner with Prof. Jan Cilliers and his impressive team of young researchers from Imperial College, UK. Left to right: Jan Cilliers, Kathyrn Cole, Amanda, Pablo Brito Parada, Gareth Morris, Kathyn Hadler, Chris Smith and Jon. The conference was officially closed at 1540 by Prof. J-P Franzidis and me, the delegates then enjoying a final wine event in the exhibition area. It has been a great conference, thanks to the quality of the papers, the high level of interest shown by the delegates, the perfect venue, and, of course, the weather, which has kept most people indoors for the last week! I would like to thank our 12 sponsors again, and our two consultants, the chairpersons, authors, and all delegates for making this event such a success. The conference has ended, but has just begun as far as I am concerned, as I now have the satisfying task of putting together a high quality special issue of Minerals Engineering. 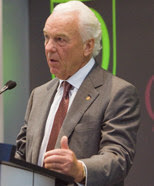 The conference itself has provided the initial peer-review of the papers and authors have been asked to submit their final revised manuscripts within the next month. The weather is still atrocious, but is forecast to improve by weekend, which is good news for all who are staying on to sample the delights of the Cape. 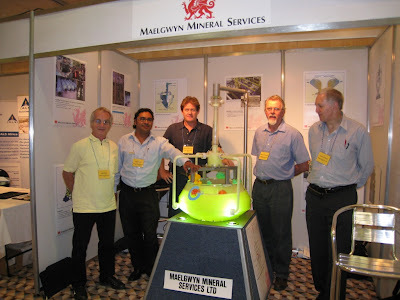 The next Flotation conference will be held at the Vineyard Hotel again, from November 7-10, 2011 and Maelgwyn Minerals have already agreed to continue with their sponsorship. Finally, we will be preparing a report on the conference for MEI Online, and would greatly appreciate your views and comments, sent directly to me at bwills@min-eng.com.